Catalyst Kinetics provides many dynamic workshops covering a variety of topics. Exercising with prolapse, pelvic instability and pain – what should I NOT do? What you need to know about getting fit safely after the birth of your baby in under 2 hours! Great for moms looking for some knowledge to inform their independent fitness routine. What Spanx are really good for. What are SI belts and do I need one? Exercising with pelvic instability and pain. HITT, or Insanity? Cross Fit or Orange Theory? Which training regime is best to get fit after baby? Shannon will answer these questions and more while taking you through a series of core recruitment and stability exercises which are safe for the post-partum pelvic floor and abdominal wall and will prepare you to safely resume your exercise and fitness routine. What You Should Know Before You Hit the Gym. In this workshop, participants will learn how to exercise safely while managing post-partum pelvic pain conditions and diastasis recti. This workshop is intended for those moms who have been diagnosed with pelvic instability, diastasis recti and pelvic pain and who may be receiving pelvic floor physical therapy. 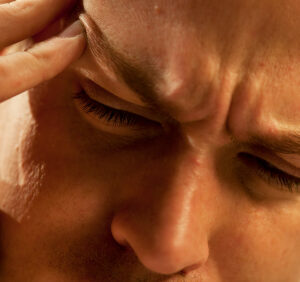 Drug free methods to improve headache symptoms for chronic headache sufferers. How to move when movement hurts. Moving helps to reduce pain. 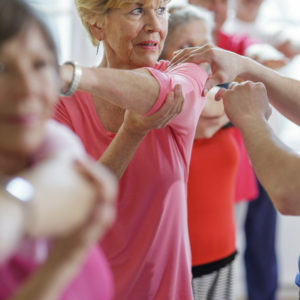 Learn how to modify activity and exercise with respect to chronic pain symptoms. Reboot your neuromuscular system, reduce body pain, and improve energy! Good posture is powerful! This youth program is a sport specific dryland enhancement program targeted to specific teams to improve sport performance and reduce injury. Emphasis is on injury prevention, core stability and strength. Sessions focus on teaching alignment and posture as well as optimal muscle recruitment patterning. Strength training technique using body weight and resistance bands is introduced. Athletes and coaches learn how to move efficiently, recruiting the right muscles at the right time to reduce likelihood of injury, and improve physical performance. Exercise is medicine! Clinical evidence demonstrates consistently that exercise improves a myriad of chronic medical conditions including metabolic disorders, chronic pain and headache and diseases associated with sedentary lifestyles. Those with conditions such as diabetes, high blood pressure, migraine headaches and those with unhealthy body mass will benefit from medically supervised exercise programs individually customized to improve parameters of their specific health condition. Exercise programs are developed by a team of medical doctors and clinical exercise physiologists. Programs are operated within Fitness NW located in the NW Calgary community of Silver Springs. Never make time to stretch? Wish you knew how to release some of the common areas of tension that seem to nag at you day to day? Then this class is for you! Learn how to stretch properly, modify stretches for pain and injury and incorporate myofascial self release techniques to help manage common aches and pains yourself! Pilates is a movement discipline which emphasizes core stability, strength and spinal mobility. You will leave this series of classes with a deeper understanding of what your core muscles are, and how to exercise them most effectively. You will feel taller and better aligned and invigorated! After I lost my fifth baby Samuel to full term still birth in 2013, I desperately wanted to get my body back to its pre-pregnancy state. Having a post-partum body when there is no baby to nurture is so cruel. The only post-partum exercise groups I could find were solely for women with babies. It was torture. Our bodies are still recovering from birth and yet we have no place to go to guide our return to fitness which respects that although we are postpartum, we are Moms without baby here to hold. Now there is such a place. I decided to create a workout group for Moms suffering the tragedy of losing their babies, led by a mom and exercise professional who specializes in perinatal pelvic issues, and who has suffered the same experience of profound loss. Exercising regularly will help you cope. I promise. Please contact me if you are interested.